Style and Save: Which Siding Product is Perfect for Your Home? Minnesota has one of the coldest snow seasons. People here are no strangers to the harsh, cold weather, especially when October snows come in. That is why many residents need to make sure their homes can adapt to the weather condition. With the wide range of sidings available here at Trend Construction Inc., matching your preferences and requirements is easy. Find out which type of siding will fit your needs and budget. Protect your house from the weather and other elements with style and reliable functionality. Choosing the right siding product that would give your home the protection and customised style it needs is possible with us. 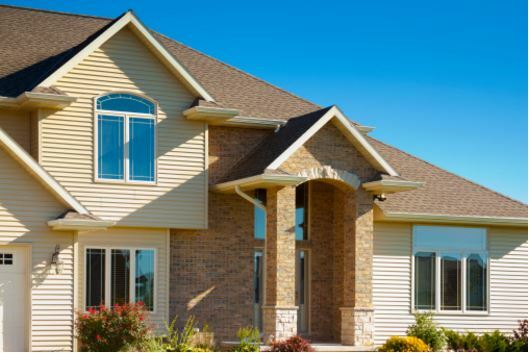 As the leader in supplying and installing premium siding products, we have what it takes to increase your home’s curb appeal. Vinyl Siding – This is a low maintenance siding that helps you lower your monthly bills. It is energy efficient and complements the overall beauty and comfort of your home. Available in various colors, the design will go along well with most style preferences. Metal Siding – This type is durable enough to withstand extreme weather changes and has a long life expectancy. With its straight and clean appearance, it looks like a timeless, natural piece for your home. Fiber Cement – This provides maximum resistance to fire, hailstorms, wind, and other elements. It’s also insect proof and needs very low maintenance. Get a distinct look for your home, as this product is available in different colors. Fiberglass – This is durable, flexible, and can last for many years. It’s also stronger than fiber cement and resistant to moist and fading. It is a low maintenance product that doesn’t require repainting and resealing. Engineered Wood – This gives off the warmth and traditional beauty of wood. It is strong and elegant, making it a superb material that offers maximum protection not only from the elements, but also against termites and fungal decay. Here at Trend Construction Inc., we can provide you with the premium materials to make your home more comfortable and functional. There are currently no comments for Style and Save. All information provided is provided for information purposes only and does not constitute a legal contract between Trend Construction Inc and any person or entity unless otherwise specified. Information is subject to change without prior notice. Although every reasonable effort is made to present current and accurate information, LinkNow™ Media makes no guarantees of any kind.